Apparently TPI is the new home for the small turtles of the Niobrara chalk. We've already prepared, molded and cast our tiny Chelosphargis advena, Prepared a new Prionochelys matutina, and show prepped a nice Toxochelys latiremis that we discovered this past spring, all with nice skulls. 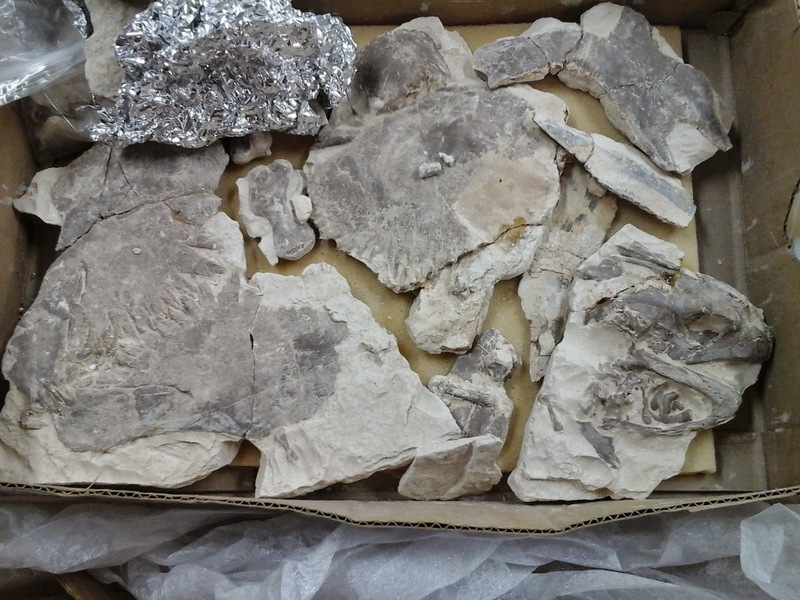 You'd think that we would be content with our fossil turtle stash, but no. You can never have enough of these little guys. 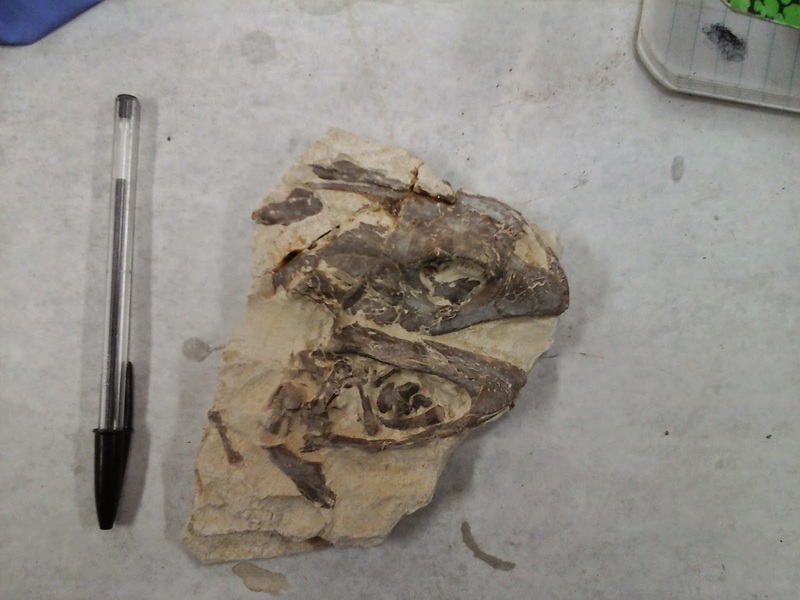 This week we prepared from start to finish another new specimen of a tiny protostegid from Kansas. 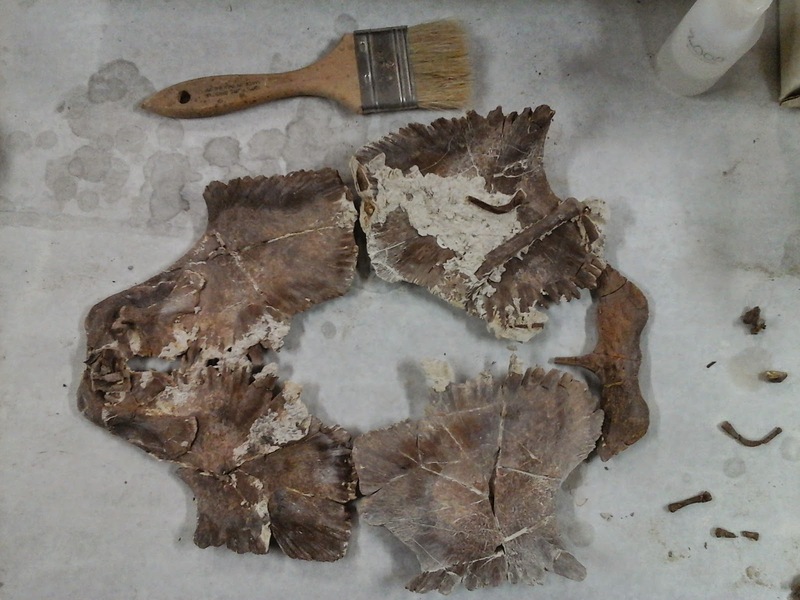 Preservation of the bones was beautiful, in nice hard yellow chalk so prep was an absolute joy. We didn't collect this specimen ourselves, which might explain the slightly unorthodox packing method employed in shipping the bones. While prepping the slabs we discovered many bones that were not apparent when work started. many of these surprise elements were adhered to adjacent bones by a thin layer of the oyster Pseudoperna congesta, making separation much more difficult. Amazingly, we are 4 for 4 this year for beautiful turtle heads. 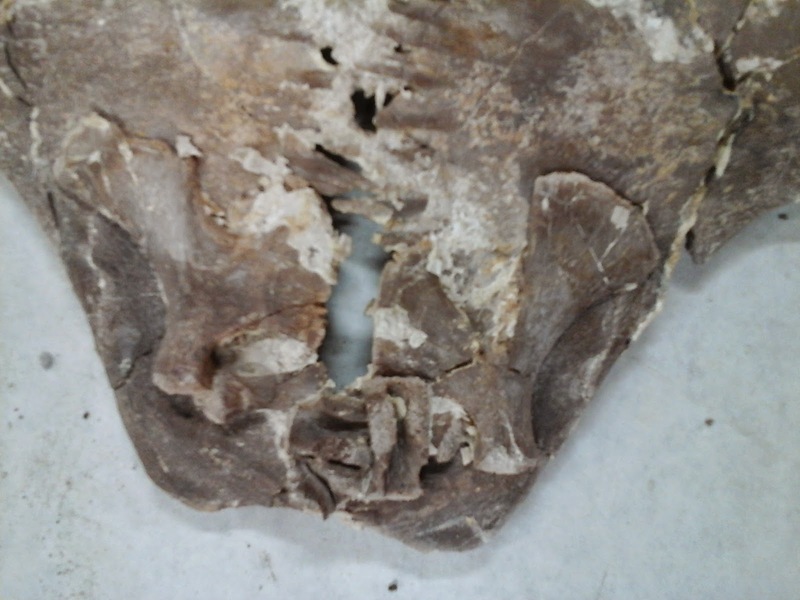 The skull block on this specimen contained not only all the major head bones, but also most of the hyoid apparatus. A very rare find in animals this small in the chalk. Partly in thanks for helping us determine the identity of this turtle (the uber rare Chelosphargis advena), and partly just because we like him so dang much, we nicknamed RMDRC 15-001 "Jubal" in honor of Dr. Kraig Derstler of the University of New Orleans. For the back story, well you're just going to have to ask him about it. When finished with the prep, we did a layout and were shocked how complete this specimen really is. Next up is restoration, molding and casting so copies can be exhibited in museums and homes worldwide. The specimen is currently displayed in our lab viewing area, so come by soon and check it out before we put it all back together.